The Union County Board of Chosen Freeholders invites residents and visitors to celebrate the rich legacy of the Carnegie Libraries this summer, with a series of three special events in June, July and August. 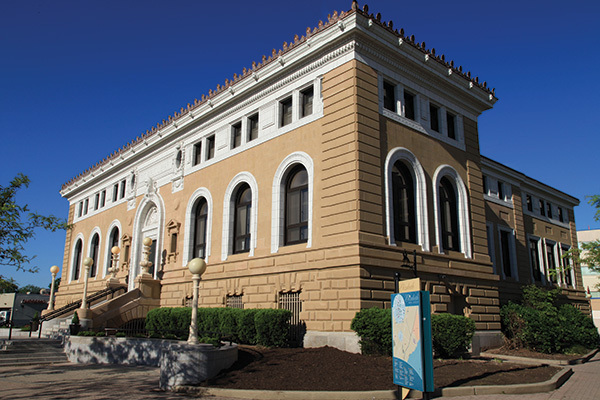 All three events will be held at the Elizabeth Public Library in historic midtown Elizabeth, at 11 South Broad Street. “In honoring the Carnegie Libraries we also pay tribute to the invaluable role of free and equal access to knowledge and information in our communities,” said Freeholder Chairman Sergio Granados. The series kicks off on Wednesday, June 13 at 6:00 p.m. with a panel discussion including all six Union County municipalities that have or had a Carnegie Library. The event features presentations, pictures, and historical documents. The next two events will be an opening reception for the new Carnegie Library exhibit at the Elizabeth Public Library on Wednesday, July 11 at 6:30 p.m. and a presentation by author and Monmouth University librarian Eleonora Dubicki on her article “Carnegie Libraries in New Jersey: 1900-1923” on Thursday, August 9 at 4:30 p.m. The Carnegie Library series is a partnership with the Union County of Board of Chosen Freeholders through the Office of Cultural and Heritage Affairs, the Elizabeth Public Library and the New Jersey Studies Academic Alliance. For more information on all Cultural and Heritage programs in Union County visit on line at ucnj.org, call 908-436-2912 or email culturalinfo@ucnj.org.